We have Well's Blue Bunny concession trailers, event vans and push carts to help with our growing list of special events. Company picnics, sporting events and local fairs are just a few of the places you might see us. 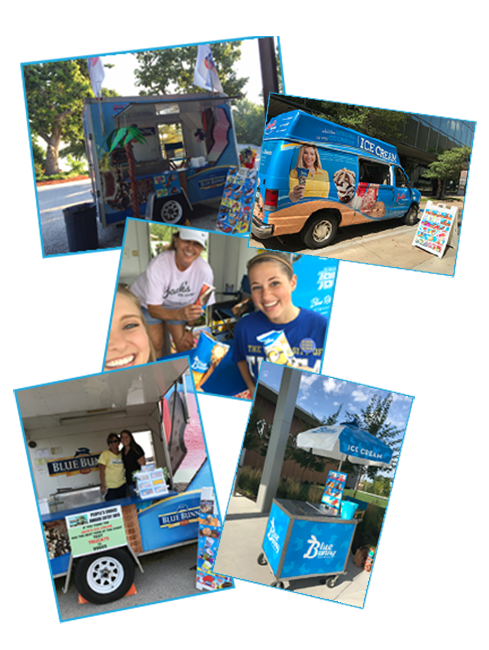 Our colorful trailers and carts, stocked full of delicious Well's Blue Bunny pre-packaged ice cream novelties are always the hit of every party. We can cater our menu specifically to meet your needs. Choose from 50 novelties priced from $1.00 - $5.00. We would like to make your event a huge success! Call Karma at 417-466-6506 to book a special event.